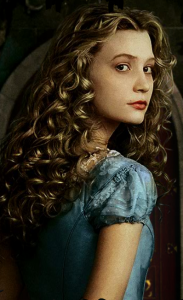 Alice in Wonderland captured $210 Million worldwide and $116,000,000 U.S. domestic box office over the weekend to become the highest grossing non-sequel film of all time. The Walt Disney Pictures 3D blockbuster, Johnny Depp starrer directed by Tim Burton champions the global box office on Oscar Night for the Academy Awards. FilmBudget.com is the international leader in worldwide feature film and television budgets and schedules, film producer, film tax incentives advisor and consultants. 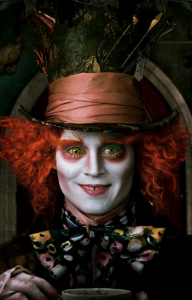 Metro Detroit company With A Twist created vfx shots for “Alice in Wonderland”. ROCHESTER HILLS, Mich. (WXYZ) – The release of the Disney classic, ‘Alice In Wonderland’, has been heavily anticipated for months by movie goers around the country. Many people are excited about seeing the special 3-D technology that will be featured in the newly revised fairy tale. Some of those mind-blowing shots were created by a metro Detroit company. Rochester Hills based With A Twist has strong ties to the development of the 3-D effects that will be seen in this motion picture. The company was called on to create more than 200 shots in the movie. Currently employing around 40 people, executives say they expect the company to grow rapidly because of the business they currently have lined up. This entry was posted on Sunday, March 7th, 2010 at 10:50 am	and is filed under Blog. You can follow any responses to this entry through the RSS 2.0 feed. You can leave a response, or trackback from your own site.